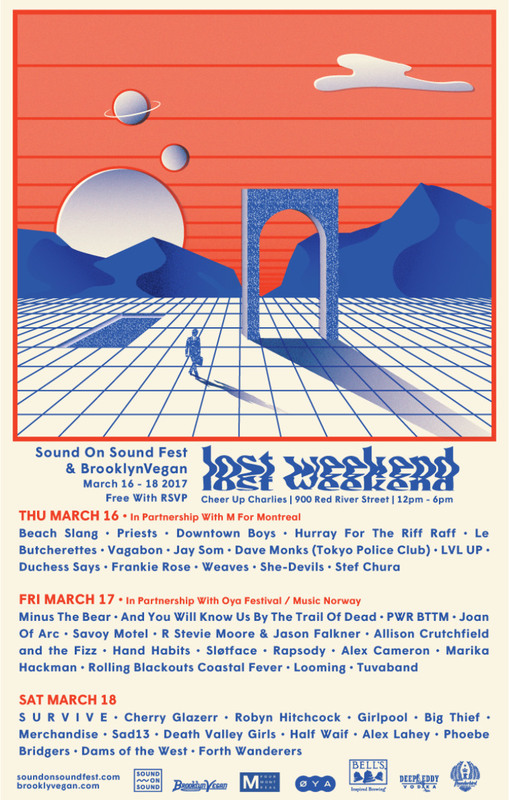 Finally BrooklynVegan and Sound on Sound Fest (aka Fun Fun Fun Fest) have announced their Lost Weekend lineups! BV always has an amazing show put together and this year is no different. Performers include Beach Slang, Le Butcherettes, Hurray for the Riff Raff, LVL UP, S U R V I V E, Cherry Glazerr, and much much more. Get the full details and RSVP below!